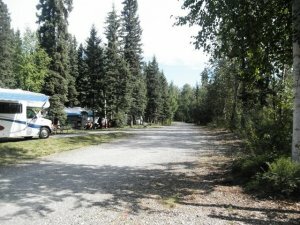 I was at this rv park for two weeks. I was going to stay 30 days. The park hosts were fantastic. I wish I could say the same for the park. The restrooms were in poor shape. Some people didn’t even lock the doors when using them. The manager tried to excuse their way out of the poor facilities. Over half of the original park was given up for base housing. If I go back to Fairbanks it will definitely not be my first choice. It was a joke.